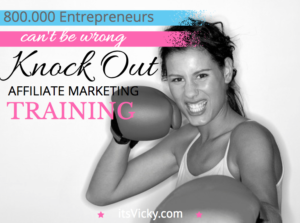 Do you feel overwhelmed with content writing? 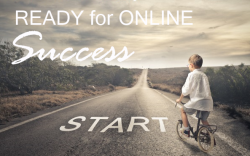 Maybe time is not on your side or maybe you want to take your online business to the next level and expand? Maybe English is your second language and you need a native speaking writer? Content writing can take up a lot of time. There are probably as many reasons as there are explanations when it comes to outsourcing your content. Outsourcing all or some of your content writing can really free up a lot of time for you. My reason for outsourcing is a combination of the above. I run a few different sites and time can be an issue. Outsourcing some of the content really does free up time for me to do other things. Another reason is that English is my second language and for my case study site, for example, I want perfect English from a health professional. 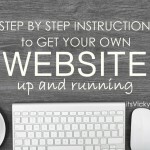 Now, this site itsVicky.com I write almost all content myself. This is my outlet, where I share my online journey with spelling errors and all. Through this site, social media and WA I get a lot of questions regarding outsourcing content writing. I picked out a few and share the questions and answers below. The first message and questions are from Grace. 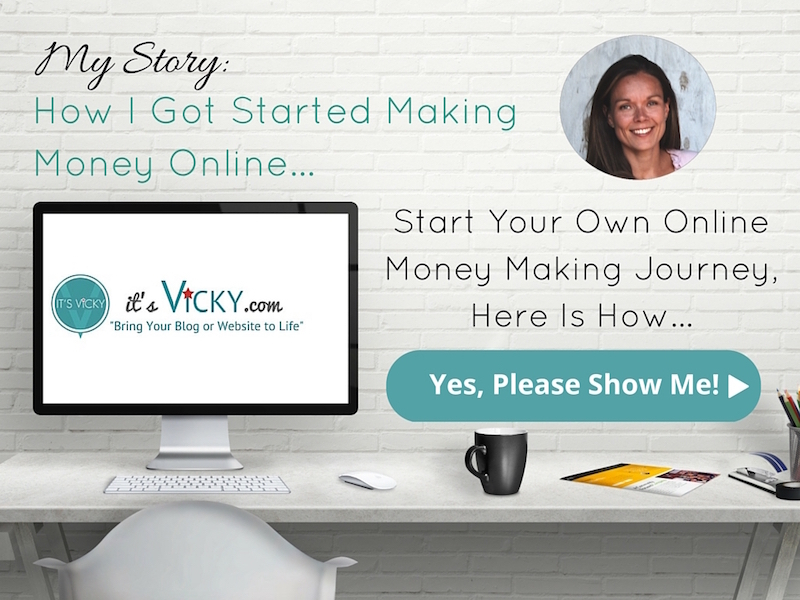 Hi Vicky, I wanted to ask you about your outsourced content… it’s so cheap it seems, will you let me know where you are finding someone dependable that writes quality content? Once you find a writer, what kind of instructions do you give them so I know they won’t be copying or spinning other articles, and ensure it’s original content? I had started a second site early Oct, but I can’t keep up with the content and want to hire as well. Any advice you can provide will be awesome, thanks! Thank you, Grace, for your message and questions. Q: WHERE to find dependable writers that write quality content? 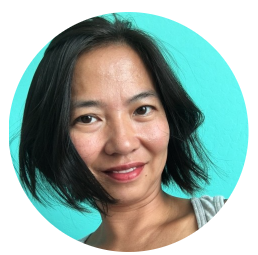 I started to outsource pretty early since English is my second language, so I’ve tried quite a few places, iWriter, Fiverr, Upwork (former odesk) just to mention a few. Today I hire all my writers from Upwork. They might be the ones that charge the most when it comes to fees, they charge both the freelancer and the person hiring, but you can find quality writers to work with long term. I hire all my writers on an ongoing basis, writing 3 – 5 articles weekly for me. From the freelancer’s perspective, they like knowing that they have weekly work. Also the longer you work with somebody the fewer fees you pay with Upwork. When I submit a job, I’m very specific about what I want from the writer. That way they know what to expect from the beginning. I also hire writers with experience in the niche they will be working with. Like my case study site, I hire only writers with some kind of medical background since it’s in the health niche. What niche they will be working with. I ask for past experience and writing example in that niche. I always state that I need well written, engaging, original content after good research using perfect US English. How many posts I need on a weekly basis and how many words they need to be. I always let the writer know that the first week is a “test” week and IF we work well together there will be ongoing work. That the content should be written by the hired writer only, no outsourcing on their end. You will be surprised how often this actually is abused. Deadline, I usually set Mondays as the day to submit keywords, which means I need the done articles on Sunday. Also, let them know that you will send back the work for revision if you are not happy with it. Providing as much information as possible already in the job description will help you narrow down the perfect writer for you and your job. Q: Once you find a writer, what kind of instructions do you give them so I know they won’t be copying or spinning other articles, and ensure it’s original content? Already in the job description, I make it clear that I want original engaging content. Now when it comes time to write the articles I give them the keywords and let them know where I want them, usually in the title, first and last paragraph. I also let them know what kind of article I want. Should the article be fun, informative, list type, review style, whatever it is you need, you have to communicate with your writer. I also double check so the content is original before I submit the article to my site. I do that by using a free tool called, Plagiarism Checker. Q: How long did it take you to find the writer you wanted? This is a great question. Don’t settle for an ok freelancer, find a GREAT writer to work with! 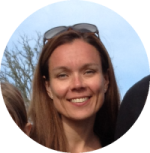 For my case study site, I was working with a woman for almost a year, she was a great writer and field expert in the health niche. When we stopped working together it was time to find a new writer. It took me about 2 months and I think I went through about 4 or 5 ok writers before I found the current great writer I have now. She is wonderful and I hope she stays long term. Don’t be afraid to post the same job over and over again until you find what you are looking for. Interesting read. Outsourcing articles aren’t something that I have considered, until now! I think writing articles and reviews is definitely the biggest challenge when trying to add quality content. However, I’m not sure if it’s something I could do in my niche? My niche is in technology and reviewing tech products takes some knowledge. Maybe you can give me your thoughts on this. Sourcing a writer is something I may consider down the line, but it would have to be affordable. 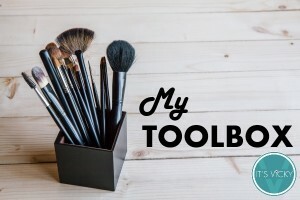 I am just starting out in this business, it’s only been a few months so I need to keep costs down. Is Fiverr a good starting point for outsourcing? Q: The niche is technology and reviewing tech products takes some knowledge. Could Craig still outsource the content writing? I would say absolutely there are field experts in any niche, technology included. In fact, I have a tech site where I today outsource ALL content. The key is to find a writer with some tech background and an interest in research. Be very specific in your job description, you might be surprised how many great tech writers are actually out there. I wouldn’t say there are any niches that are off the limit for outsourcing. 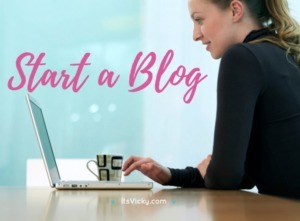 Now if you have a personal blog, that might not be suitable for outsourcing. Q: Is Fiverr a good starting point for outsourcing? Personally, I’ve not had a good experience hiring writers over at Fiverr. It was actually so bad that it drove me to write a post about it – Why I will not use Fiverr as my writing service again. Don’t get me wrong Fiverr can be great for some services, I’ve just not had a good experience with them when it comes to writing. It was not worth my time and the quality was very poor. The problem is that many hide behind fake profiles trying to make a quick buck. That’s not the case over at Upwork. The writers at Upwork, wants good feedback and continues work, they also take pride in their work, not at all what I got at Fiverr. 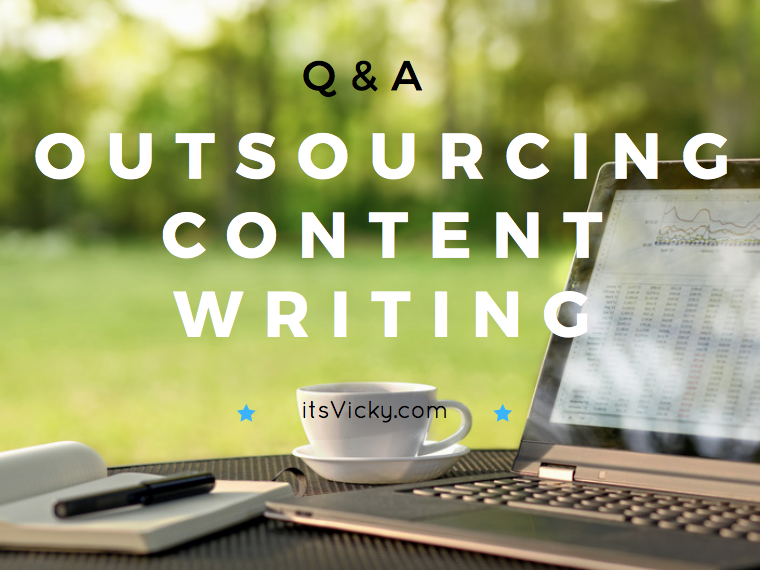 Do you have any questions when it comes to outsourcing content writing? Please leave them below and I will be happy to answer. I’m a stay at home mom and can’t find the time to write anymore, I have a wedding blog and just can’t seem to be able to write more than 1 article a month. I wanted to outsource when I would be able to pay the writers with my profits. My question is, based on your experience, how many articles a week or a month should I outsource to finally see a significant profit? This is a very hard question to answer, because there are so many factors involved. You need to take into consideration things like conversion rate, how many visitors does it take to turn one of them into a paying customer? How much is each customer worth? How many visitors does an average post on your site get? There’s also a snowball effect with content and organic traffic. In the beginning you might not see much traction but after awhile when you have many articles ranking for different keywords, the traffic will start to come in. With my Amazon case study site I submitted 2-3 articles weekly this year, going forward I will be submitting at least 3 articles weekly. When you relay on organic traffic the more helpful quality content you put out there the more rankings you’ll get and the more traffic it will bring in. Sorry I can’t give you an exact number. But if you figure out how much traffic a post generate on average, how many visitors it takes for a sale and how much that customer is worth then you are on your way to figure out how many posts it will take for you to reach your wanted profit. I love this post Vicky!! Thank you so much for answering my questions. Not a lot of web owners do this and go into so much in depth detail so I’m very grateful for all the info you have given us here! Now you have saved me time and I can go straight to Upwork! Time is a constraint for me and your advice sure saved me some, so thanks again for your informative post!! Thank you for your question, I’m happy that I could help! Glad I saved you some time, like you say time that’s one of the most valuable assets we have. Thanks for this information. I am still pretty skeptical that you can actually get a well-written, original article for less than $10. How does a writer even make enough to live on those prices? I have worked as a freelancer myself in the past and would never accept anything lower than $100 per article, averaged around $4-500, and have been paid over $1,000 for a single article. When I use outsourced articles on Upwork, I generally start at $40-$50 per article. And then I’m sometimes still not happy with the quality. Maybe I am not looking hard enough, or the quality of the articles required depends on the industry? Are your writers coming from outside the U.S. or Canada? It seems like finding a writer living in an inexpensive country who can write well in English is the only way to go. I guess my question is: Besides giving a lot of instructions and going through a lot of different writers, how do you find writers willing to work so cheaply? There are people from all walks of life that enjoy writing and love the extra money. For my health site, I hired a retired nurse that not only have the health background but is a fenominal writer. For my tech site, I have a few writers, young talents that loves the extra cash writing on a topic they are very passionate about. 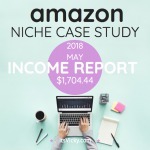 It does take some digging and some patience to find these people, but what they have in common is they have a passion for the topic and they love the extra cash. Really interesting read! Thank you so much for sharing your experience and wisdom. Like a previous commenter, I’m a busy SAHM, and time is just escaping me – perhaps outsourcing is an answer. 2) When they submit their work, are they giving up all rights to it, so I can edit it if I wish – and also put my own name as the author if I wish (or a pen-name)? I’ve never run into a writer, that after asking them questions, seeing some of their previous work and after they have written and rewritten the article like I want it, that it comes out in a way that I can’t use it. Sometimes I even have them write an introduction of 150 words, before hiring, the introduction can then be used for one of the articles if they get picked for the job. Yes, the content is yours to be used however you want it to be used, you can edit it. The article regarding outsourcing was informative and engaging. Nice work! Thank you Todd, glad you liked it!